Buy Truck Bed Tents Blog: Have you ever considered travel insurance? 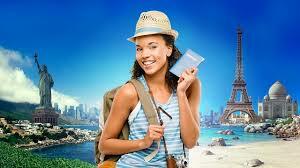 Have you ever considered travel insurance? Recently my family took a vacation to the beautiful state of Hawaii. The thought of travel insurance never crossed my mind until I read this article that gave me a new outlook for my next trip. There are so many things that can happen when you are on vacation. It doesn't matter if you are traveling abroad, staying in the states or camping, insurance should be considered. After reading this article I can see that there are many options. The article talks about troubles when renting a car, and when we were in Hawaii we got a rental car that did not perform to our standards. We tried to get a different car and was not successful. Maybe having some kind of insurance may have helped. So before your next outing, please consider some kind of insurance.